Everyone will encounter stiffness, pain, and/or some kind of muscle-related injury at some point in their life. Those who are active will likely experience those issues more frequently. Some of us here at RainyDayMagazine have studied Aikido for over a decade. Learning how to properly protect the body—by rolling when being taken to the ground—is part of the art. The tatami mats at the dojo help soften the impact, but still…sometimes you need a little, let us say, recovery assistance. Braces like those from Shock Doctor can give support and prevent ACL/MCL injuries. Devices like the ARC can help with spine realignment. Strategies and products designed to help with pain management, minimize damage, and speed up the healing/recovery process are useful, but what if we could do something more? Today we are going to look at something that is still about injury recovery, but also about injury prevention. 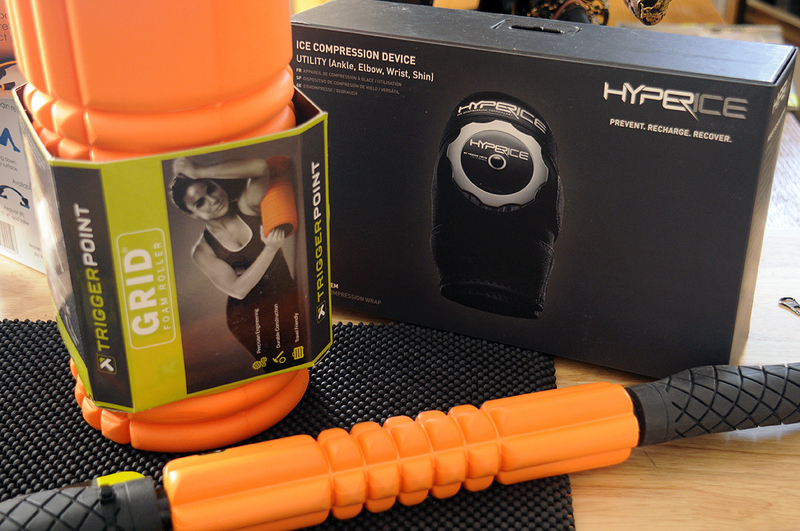 The company is Trigger Point Performance, and the two products are the GRID Foam Roller and the GRID STK. Increasing muscle flexibility and pliability is has been recognized as a way to have less pain, a faster recovery, and better performance. 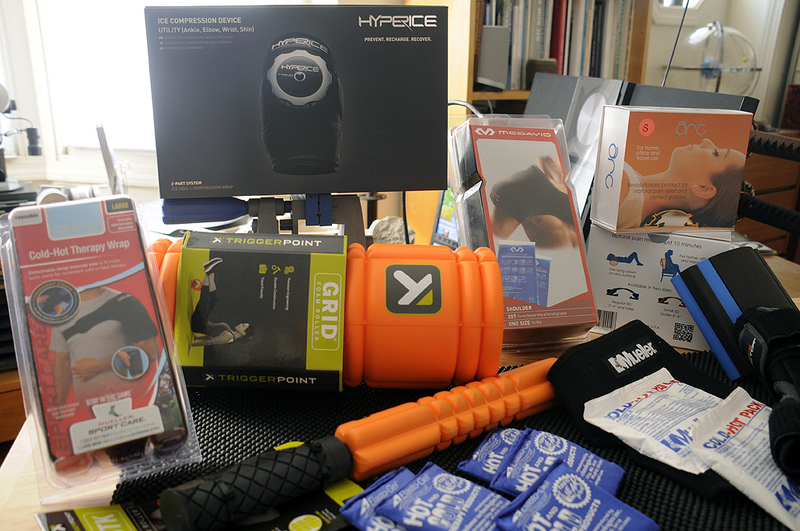 Trigger Point’s line of products have been designed specifically for people who want to use Myofascial Release Techniques (MRT) to relieve muscular aches and pains. Myofascial Release Technique is a form of massage which addresses the muscle spindle and the associated dysfunction such as trigger points, adhesions, and other muscular challenges (aka “knots”). The process also retrains movement patterns by opening up the neurological pathway, allowing greater muscular proprioception. 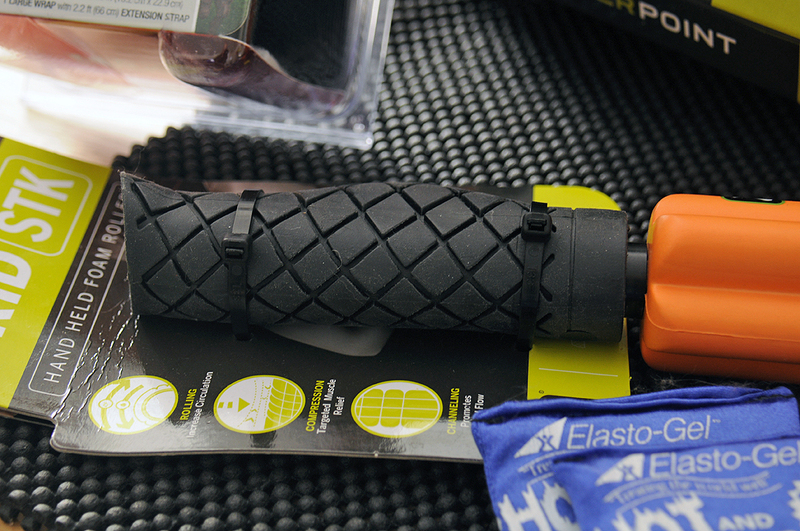 The GRID foam roller is designed with a proprietary 3D pattern of varying widths. The goal is to replicate the feeling of a massage therapist’s hands during use. Three-dimensional surface allows tissue to aerate while you roll, promoting the flow of blood and oxygen needed for muscle repair. Weight-tested to support up to 500 lbs/225 kg static load. 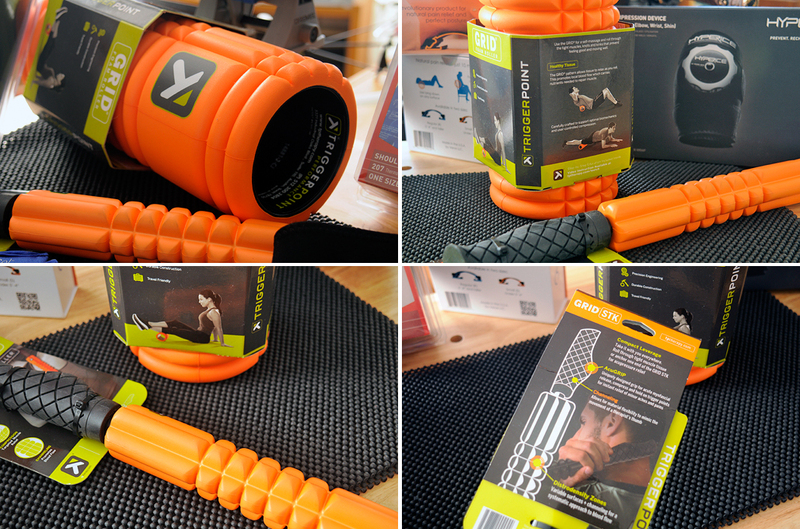 The STK is a hand-held version of the GRID foam roller. It has the specifically-designed GRID 3D surface, as well as a few other features. The idea is to allow the user to be able to apply pressure, roll, release and relieve minor aches and pains at targeted parts of the body. Convenient travel size is perfect for the gym, office, or on-the-road. 3D surface designed to replicate the feeling of a massage therapist’s hand. AcuGRIP handles for targeted relief. We are excited to try out the Trigger Point GRID and STK. Our FirstUse writeup on both will be available before the end of the month.